You knew it’s unhealthy to be middle-aged and overweight. Scientists say that combination could be rough on your brain, too. Researchers in England explored the connection between obesity and brain structure, and an examination of data across 473 people revealed some intriguing results. The researchers sorted participants by body mass index and took images of their brains to see if there was a connection between obesity and brain function. They found that overweight, middle-aged people have white matter – the connective tissue in brains that passes information from one region to another -- comparable to the brains of lean people 10 years older. However, the authors said, despite the clear differences in the volume of white matter between overweight people and lean people in middle age, they found no connection between being overweight and a person’s intelligence, as measured by a standard test. The authors called for more studies on the connections between weight, diet, exercise, brain structure and memory. While the study examined data for people ages 20 to 87, the researchers found the differences in volume of white matter in people middle-aged (40 and up) and older. “We’re living in an ageing population, with increasing levels of obesity, so it’s essential that we establish how these two factors might interact, since the consequences for health are potentially serious,” said Paul Fletcher, a professor in the University of Cambridge Department of Psychiatry and lead author of the study. Middle age may be a particularly vulnerable time for changes in the brain, the authors wrote. The U.S. Centers for Disease Control and Prevention says more than one-third of U.S. adults – about 78.6 million people – are obese, with obesity defined as a body mass index of 30 or higher. A body mass index of 18.5 to less than 25 is considered in the normal range. And it’s not all about middle-aged people. The CDC suggests that about 17 percent of U.S. children ages 2 to 19 are considered obese. Obesity is related to multiple serious health conditions, including stroke, heart disease, Type 2 diabetes and some cancers. There are financial implications as well. People who are obese pay $1,429 more a year in medical costs, on average, than people of normal weight, the CDC says. The study, “Obesity associated with increased brain-age from mid-life,” was published in the journal Neurobiology of Aging. The University of Cambridge statement about the study is available here. The CDC offers statistics and resources on its Overweight & Obesity page. The Providence Brain & Spine Institute researches and treats conditions of the brain, spine and nervous system. This page will take you to descriptions of some of the institute’s clinical trials. Talk to your health care provider about your weight and brain health. 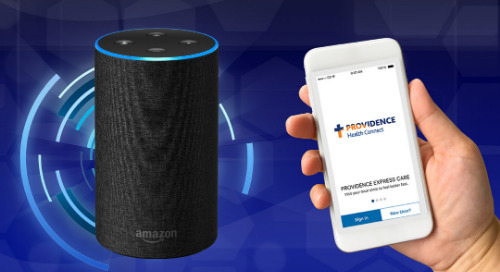 You can find a Providence provider in our multistate directory.